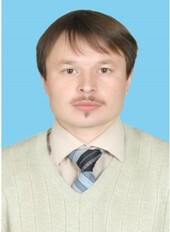 In 2004 he graduated from the Faculty of Mathematics of KarSU named after. E. Buketova specialty “Mechanics”. Since 2008 he has been working at the department of Higher Mathematics. In 2010 he defended his thesis. Published 15 scientific articles, 3 monographs.